CEASE Therapy involves a step by step process by which possible causative factors (vaccines, regular medication, toxic exposures, etc.) are detoxified with homeopathic diluted and potentized substances. Dr. Tinus Smits discovered in his practice with over 300 cases the foundation of CEASE therapy. In his experience autisic type expressions are an accumulation of different causes and about 70% are due to vaccines, 25% to toxic medication and other toxic substances, 5% to some diseases. With isotherapy (see below), a form of homeopathy using the causative substances themselves in homeopathic preparation, the toxic imprints can be erased. Isotherapy uses the causative substances as a homeopathic remedy, their profound toxic effects can be witnessed as the children begin to react to the remedies. In this way Dr. Smits discovered why autism and other behavioral problems, with their specific developmental problems, have so dramatically increased over the last ten to twenty years. It also became clear that autistic children do not suffer from one single cause but from an accumulation of different causes. Along with the isopathic treatment we also add orthomolecular medicine to properly nourish the brain of these children and to restore proper bowel function. During treatment these supplements serve as a support for the healing process, while the healing process itself comes from the isopathic treatment. These supplements make the whole healing process smoother and help to avoid severe reactions during the detoxification. As a third tool we also use homeopathy. Treatment consists of a number of steps and therapies. Detoxification (homeopathically) of the most relevant stress factors in the patient's history: vaccines, anaesthesia, antibiotics, childhood diseases, etc. In cases with a history of difficult delivery and/or caesarian section, osteopathic help will be called in. Osteopaths are of the opinion that the meningae are often too tense leaving the brain insufficient room to grow (causing stress!). Orthomolecular Support - the oxidative stress of the celebral cortex is treated with fat soluble vitamin C and the brain is nourished with omega-3 fatty acids (EPA and DHA) which are important building blocks for the brain. The metallothionein function in the bowels and the brain can be restored with the use of zinc. For this we use an ascorbate complex (water soluble vitamin C combined with potassium, magnesium (tranquillizer) and zinc). This also restores the integrity of the bowels. In addition Saccharum Officinale D6 likewise yields good results in restoring intestinal flora and function. 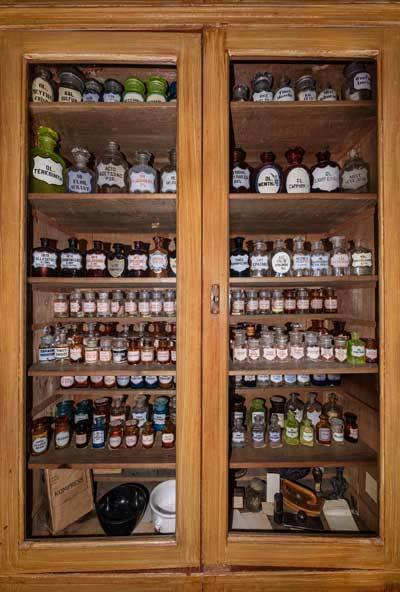 Specific aspects of the austistic behaviour can be addressed by constitutional homeopathic treatment of the child, whereby a remedy is selected that is largely based on the behaviour of the child. The remedy Saccharum Officinale and other constitutional remedies are important elements in restoring eyecontact, contact with the outside world and the emotions etc. Cuprum Metallicum can offer the solution to the typical rigidity and obsessiveness. Both remedies are part of Inspiring Homeopathy and not yet very well known in the homeopathic world.